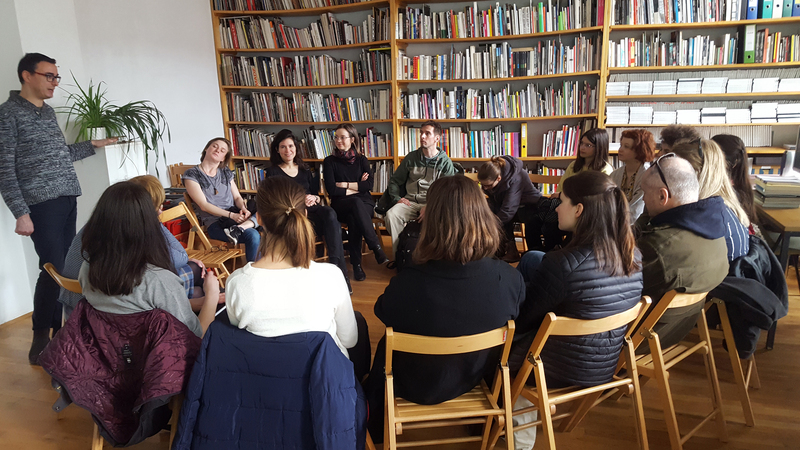 At three meetings in February and March 2018, World of Art participants and undergraduate students at the Academy of Fine Arts and Design will get to know each other, exchange experiences and try to present the specifics of their artistic or curatorial practices. 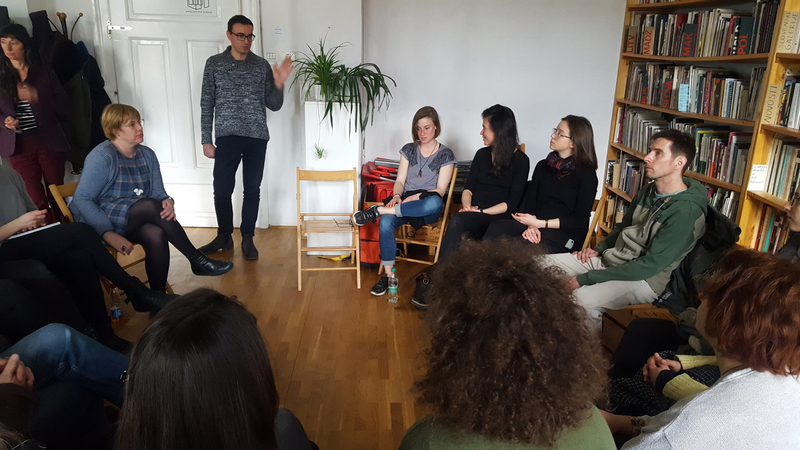 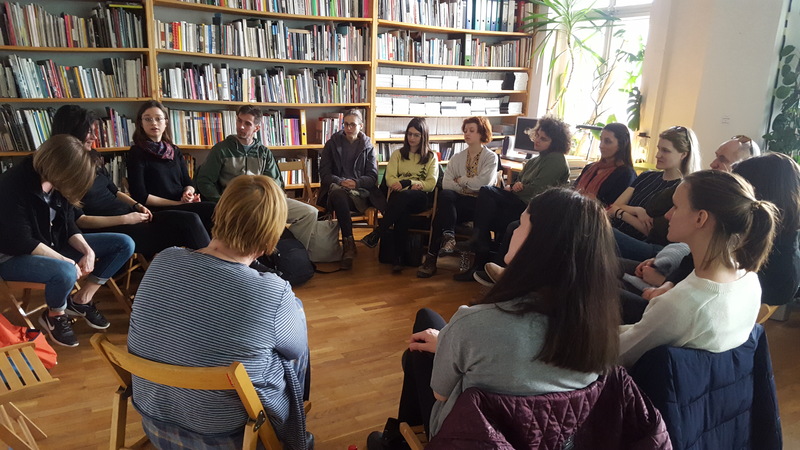 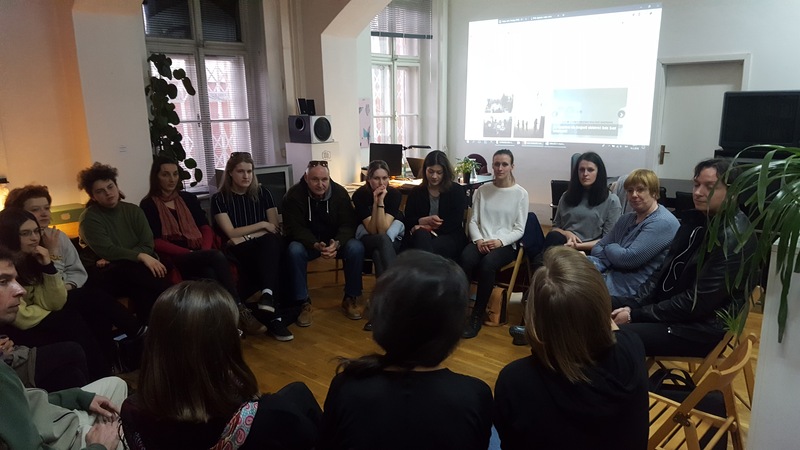 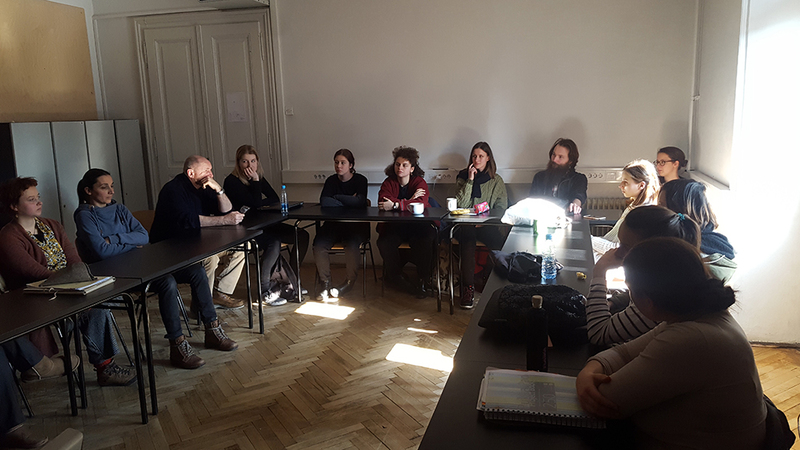 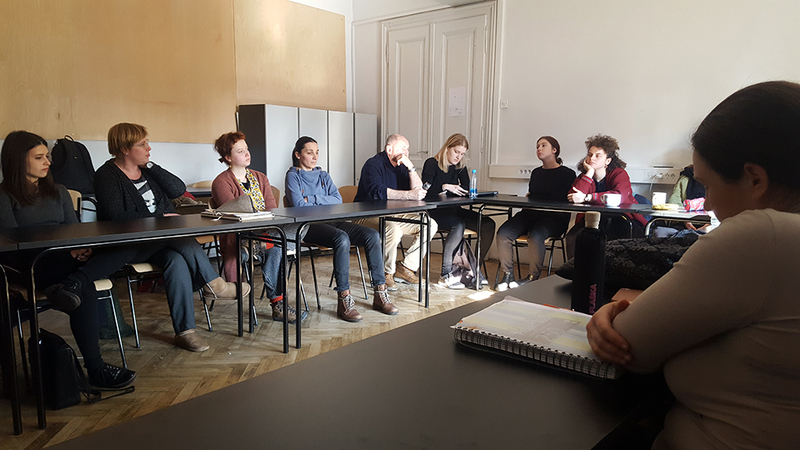 A visit to the art studios at Erjavčeva, where artists presented their art works, was followed by a visit to the Project Room, a presentation of the curatorial group and a discussion of selected texts on curatorial practice. 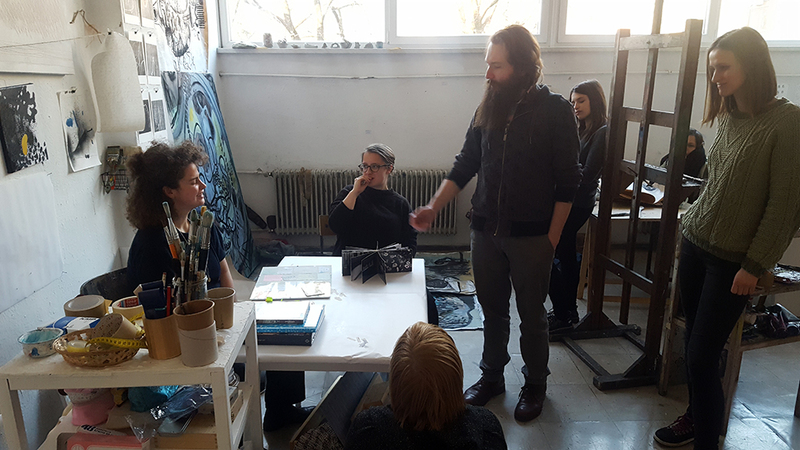 Meetings are part of the World of Art and Petja Grafenauer’s course Theory at the Academy of Fine Arts and Design. 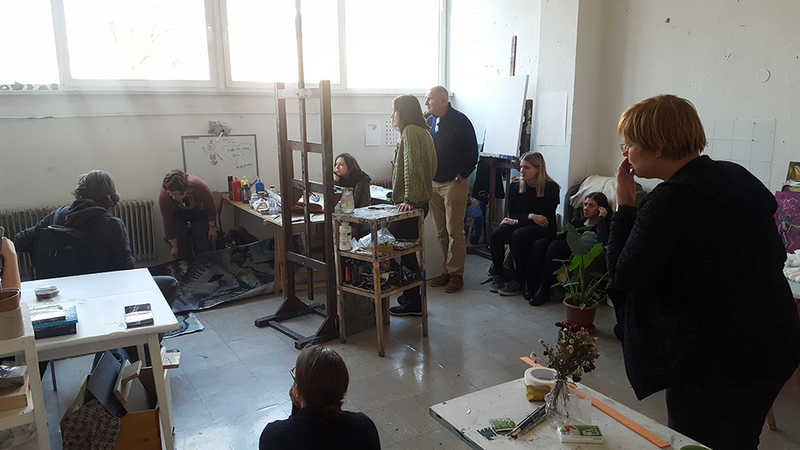 Visit to the Academy of Fine Arts and Design, 28 February 2018. 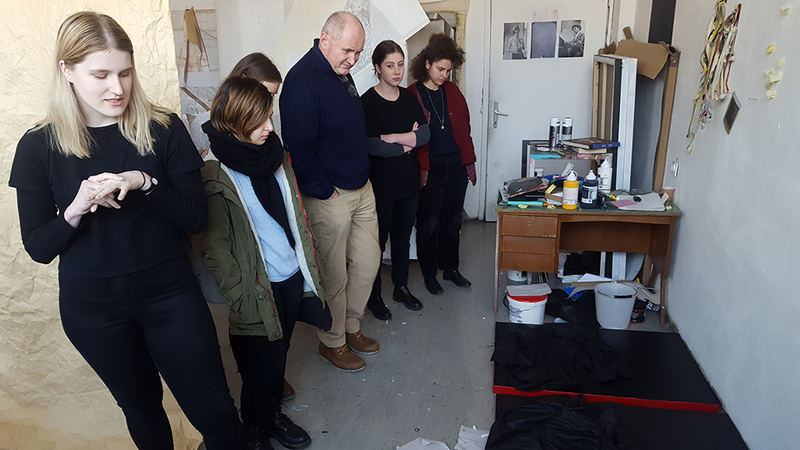 Visit to the Project Room SCCA, 14 March 2018.